I know how exciting and hectic it can be when you are moving, and buying or selling real estate. It can be a complicated procss and that’s what you have me for. I will make sure that the details of your Palmdale real etate transaction goes as smoothly as it can, so you wan concentrate on other things, like picking out drapes. While you are out playing golf or something I will be dealing with the title company, staying on top of the inspection process, coordinating with appraisers, dealing with disclosure documents, and communicating with the Palmdale real estate agents of the other party in the transaction (if it’s not my own listing). Once you have submitted an offer that I have carefully crafted with you, in order to get you the best possible terms, and it’s signed by the sellers, you as the buyer can relax a bit. As your real estate agent, I can’t. I need to stay on top of document deliveries, arranging for inspections for termites and plumbing and overall structure of the property. There are title insurance details, and random mortgage tasks that must be done in order for you to walk away with the keys to your new Palmdale, CA real estate property and have a successful closing. Just to give you an idea of the checklist of duties that I have to take care of in almost any real estate transaction… I usually start with working with a title insurance company. I submit your Palmdale real estate contract to them, and they make sure that the sellers of the property own the property and that there are no “clouds” on the title. These “clouds” on the title could be a bank with a lien on the property, unpaid property taxes due to the state, a divorced party with some right or claim to the title of the property. 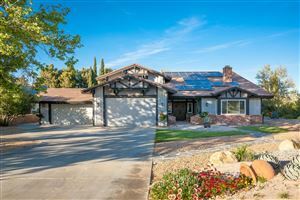 If you so desire, or if you are in a rural area of greater Palmdale, such as Leona Valley, then I might suggest that you go beyond the regular CLTA and pay a little extra for an ALTA title insurance policy which guards against the property lines being accurate. Inspections will need to be done and more extensive inspections if you are financing the property. Real estate can look great on the outside but have some real skeletons in the closet. Wood destroying insects such as termites can be lurking, there might exist a sinking foundation problem (this is California). Or the house might be older and have steel plumbing, which is a real bummer because that has killed many deals for me. In order to replace the plumbing with modern copper pipes it takes so much money you might just want to buy another house. I need to be around to let the various inspectors into the house which requires multiple appointments. I’m rarely lucky enough to have one inspector that can do all of the inspections but it does happen. Disclosure documents must be signed off by the seller and I need to make sure the seller does that in a timely manner so that we know of any real issues as soon as possible before you get too attached to the property. Thankfully most f the real estate in Palmdale, CA is relatively built, unlike some parts of LA, where there a lot of homes from the fifties and before still standing. Appraisals need to be done if you are financing. No doubt the listing real estate agent did their due diligence in a comparative market analysis (CMA). A lending mortgage company or bank isn’t satisfied with the Realtors assessment though and always require a licensed real estate appraiser to verify a fair market price for the home. 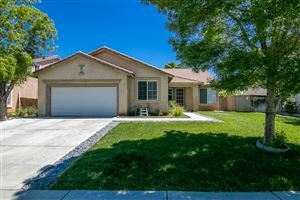 I usually feel good about my profession as a Palmdale real estate agent because my CMA’s are usually verified to be accurate or not far off at all. 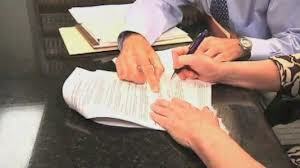 I wish that real estate transactions could be simple but most often they are not. There will be further negotiations at this stage because of the findings of either the real estate appraiser or the home inspector. I can advise you how to proceed with your transaction and get any concessions from the sellers possible without making them mad or blowing the deal. I always hate to see a real estate deal go south but sometimes it is in fact the right thing to walk away and go back to the drawing board. I think you get the point that just about every Palmdale real estate transaction will involve attornies, surveyors, an appraiser, a title company, a mortgage broker, a lender, a loan underwriter, both real estate agents, and there are probably other people involved that I’m forgetting. All of these specialists have their one specific job to do and it is my job as your Palmdale real estate agent, to bring it all together. When you work with me as your real estate agent, I only bring things to your attention when they are necessary or material. You as the buyer don’t even need to know some of this stuff is going on with a lot of this behind the scenes stuff, but I will let you know if you do. That’s what you are paying me a commission for. 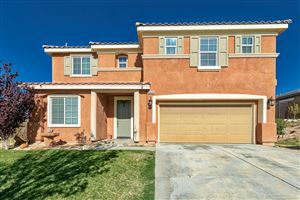 My goal is for you to have a great experience with your Palmdale, CA real estate buying transaction. I will be there with you every step of the way from before the signing of the contract to the closing, when you get the keys to your new home.